Nowadays in advertising content is king, we all know that. So good storytelling is more than welcomed. And 'fairytelling' too. Here an example: FedEx introduces its sustainability solutions with a fairytale-like cute ad. Going through the newest and most interesting examples of content in advertising for the last week, I just can't skip this 2 minutes black&white retro ad by Martini, part of their 'Luck is an Attitude' campaign. Nice execution with a little twist in the end of the story; for me that makes the last 15 seconds the best part. Disney is the ultimate expert in creating Magic. Here's one more example - the augmented reality experience on Times Square, NYC. With Mickey Mouse and co this year's winter holidays mood is already set. Thanks, #DisneyMemories. Thought of You. Danced. Animated. Thought of You - Behind the Scenes Preview - ROUGH CUT from Cambell Christensen on Vimeo. This week I found by chance the Dhjana web-site promoting a Limited Edition of Nespresso as part of its Sustainable Quality Program. It's worth sharing especially because of the creative solution I find lovely both in terms of copywriting and visualisation. Check it out here, on the Dhjana website. I would advise not to skip the intro and then start with watching the short movie before exploring the whole site. As for Nespresso's project, it made smile not just the coffee beans but also me. Good luck to Dhjana! Putting together the nice look over Milan's city center, the attractive dance performance (considering also the successful choice of costumes), and the music background choice I wouldn't be surprised if that becomes the next example of Viral video on YouTube. Special thanks to Cata and her cool and always up-to-date cooladsniceart blog (my source of information for this post). It's Saturday, time for breakfast and some dance moves. It's mid-September, so time to say goodbye to the summer days and long evenings with cocktails... which reminds me of a bottle label that was around these summer months: Campari Limited edition by Romero Britto. 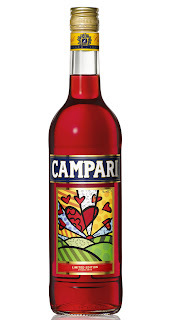 The label is the forth example of the Art collaborations for the 150th anniversary of Campari and it's based on one of the most successful pieces of work of the Brazilian pop artist, called "A New Day". 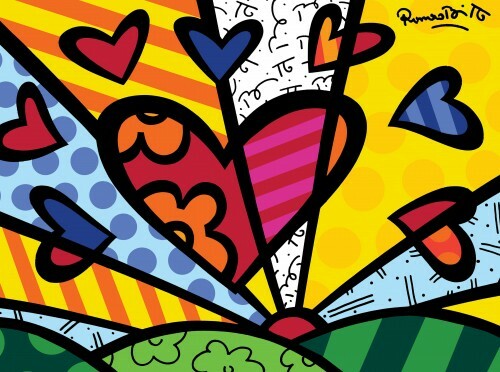 Even if the celebrations for the brand's anniversary were back in 2010, a year later we saw the label of Romero Britto all over the world, after the big success it had in Brazil last year. 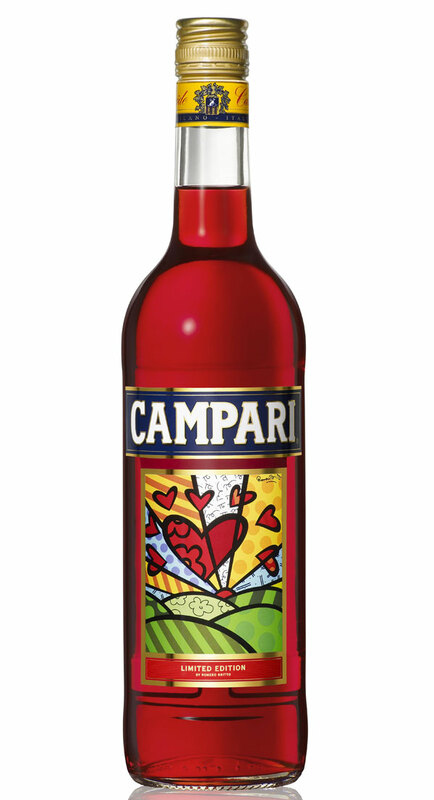 That's also the idea behind this campaign, as Campari guys say - to make Art accessible to everyone (even when you're having a drink). As for me, the concept is warmly welcomed. And if it still around 30 degrees C where you are (as it is in Sofia), maybe you can go for a refreshing drink with friends tonight. Why not even for something Campari based... a Negroni? Pretty nice performance, hamsters, well done! And the back-up dancers the robots are doing good too. Although I'm not sure you convinced me to have a ride with your preferred vehicle, the Kia Soul crossover. The last parkour video for RedBull (Turkey) is everything that makes a piece of branded content amazing: the master performance of Ryan Doyle, his philosophy of parkour as art expression, the great cinematographic work and the cultural context of Mardin, Turkey. All that makes the video absolutely beautiful and, last but not least, makes me smile surprised and say "wow" when pigeons do back-flips with Ryan! Just when everybody were thinking (not without a reason) that Nokia is dramatically left behind its competitors, we see Gulp. The world's largest stop-motion animation (confirmed by Guinness records) and it's done with the Nokia N8 camera. plus, it's summer time, everybody think about sand and sea so watching the animation definitely makes us smile - here's a nice seasonal effect. And finally, my personal association about the fisherman character - reminds me of the adventures of Pinocchio and Geppetto in the whale. Nice! So, obviously Nokia is coming back and they chose the right partners for their communication (Gulp is a short film created by Sumo Science and Aardman). Well, the one I saw today made me finally go for Chrome just to try the Video Dance Messenger, especially when it turns out to be a collaboration of Google and Ok Go with Pilobolus (I have a soft spot for this dance company and I'm following their projects for years). How and why companies are choosing the names of their products might be an important issue especially when a single name provokes controversial associations. Here an example. Tell me, what's Juke? Well, I'm confused. Why would Nissan choose a name for their new car that was associated with a phone just a couple of years ago? Is it on purpose (if yes, why?) or it's just a coincidence as someone didn't do enough research during the naming process? Too many questions, still looking for the answers. I never thought that an app would make me wanna buy the new iPad just so that I can install the application itself. But it happened. Here's a teaser video for one of the latest apps you can find for your iPad on the AppStore. It's absolutely stunning both in terms of visualization and technical innovation. The Fantastic Flying Books of Mr. Morris Lessmore iPad App Trailer from Moonbot Studios on Vimeo. Great work by Moonbot Studios. The new Doritos ad in UK looks more like a short movie than like an ad and people love it. You liked it and wanna try if you have Esteban's skills? Try the Facebook game following the link here (it didn't work out for me being outside UK but it should, so you can still give it a try wherever you are but be prepared to get an Error screen as well). The game is available also as an app for iphone and android mobiles. The first edition of the Red Bull dance battle 'Beat it' was few days ago, on 21st of June, in Paris. The concept: 12 of the best street dancers from different styles in France, 3 key places around the city, the crowd voting their favorites. As the organizers claimed, with Beat it, the streets belong to you (dancers)! The video is already viral for dancers and choreographers. I'm not sure they care about the product but I'm positive that it will be their inspiration for the next work-out in the dance hall. And who knows, the Galaxy S2 might be their next choice also in the phone store, just because they have fast and supple fingers! The lesson: never use the same packaging for all the presents... or start saving money to face the challenge with a M-class. The French water brand Perrier started a new type of interactivity campaign with a video on YouTube, uploaded a week ago. The idea is simple and brilliant at the same time: the more people watch the video, the more parts of it are being unlocked. After a week, at the moment I checked it out, it had 1 011 396 views, 3 levels had been unlocked and still 3 more to go. Looks like very good approach to go viral. Dirt Devil-The Exorcist from MrPrice2U on Vimeo. The new movie by Karl Lagerfeld: does this tale really feel like chanel? A week ago appeared a short movie by Karl Lagerfeld that promotes the Chanel Cruise collection 2012. As much as I admire and respect the artistic genius of Mr. Lagerfeld, I really don't have the Chanel feeling when watching this movie... Bored hysterical and perverted rich ladies that are so lonely and miserable - is that the Chanel world? Even with all the beauty and the fairytale, I am not convinced. It's just not my idea of this brand but, of course, I might be wrong. Here's the movie, watch it and if you love it and think it represents what Chanel is about, let me know or even try to make me like it as well. The Tale Of A Fairy - FULL VERSION HD - English Version from germaine dulac on Vimeo. The Canvas Experiment is what Converse came up with to remind us about the brand and to face the recent activity of the big players Nike and Adidas. Today the Google icon is dancing. The reason is the 117th birthday of the legendary Martha Graham - the one that revolutionized the world of dance. It's time to go back to the genius art called dance in its pure manifestation - no commercial purpose, no brand or advertising campaign behind it. Prada is a fashion brand with very distinctive artsy personality. That's also shown in their communication. To be honest, Italian agencies are not on the top of my list with Favorites, but this case made me consider the potential of every creative team, no matter where are they from or how big are they. Now I remember her because I see her work again - this time in a commercial for Eni. 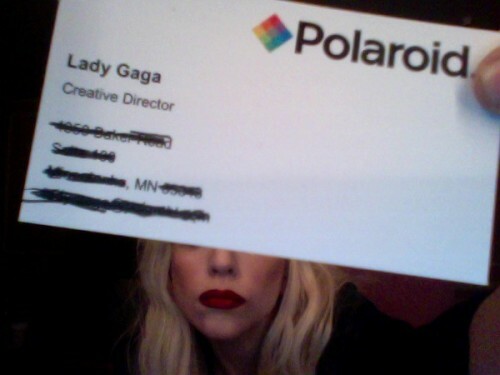 It's always a good solution to use talented artists in advertising. For sure this campaign will get more "likes" because of Ilana's art. Good news for Eni and for TBWA/Italia that realized the project. Recently people around me reminded me about my favorite campaign. It's for Nike women and my favorite contemporary female dancer Sofia Boutella is starring by coincidence. Music artists nowadays are working in a way much wider than ever. The ones claimed as the most talented even have their new important role in the serious corporate world. Obviously, being creative and serving corporate goals at the same time is not anymore just for advertising agencies. Creativity widens in any possible way, through every possible art form and this trend is probably about to define the new brand communication rules. Two careers to follow up during 2011 are definitely Lady Gaga's as a Creative director for Polaroid and Will.i.am (Black Eyed Peas) as a Creative director for Intel. When discussing a communication strategy for almost any brand today you will probably hear one very "innovative" suggestion: "Hey, let's create an iPhone App!" I would say that apps for smart phones became what TV spots were ten years ago. Here is a new app from Black Eyed Peas, a band that has a strong brand-orientated approach towards their work. And why not - in the end, music and entertainment is a business like any other business. I would even say that Will.i.am and co. are playing better Brand Managers than the someones working for big international brands. These days I was shown a short movie with Academy award 2010 in Animated short movie category. It was shown for the first time at Cannes Film Festival 2009 and opened the Sundance Film Festival 2010. Yes, I'm talking about the Art of the short movies. Key word here is Art! But... the creators use an interesting metaphor - a world of brands and logos. It's absolutely fascinating to follow the movie and discover all the brands presented through their logos and to observe each brand role - who are the bad guys, who are the heroes, who are the victims? The story is fun as well. Well, in the end the world of brands falls apart and the reason is that brands destroyed each other just like in an American action movie! I mentioned already the metaphor of the world of brands, right? Or it's not a metaphor at all? As I said it's about Art here, so Brand managers shouldn't take it personal. Just see Logorama, search for your Lovemarks inside and think about what you've seen in the end. Also think about is it better for your brand being there as the bad guy destroying the world, as the victim killed in one second or not being in Logorama at all? Another question: if brands are already in Heaven, is there forbidden field for them? Just drink an espresso and wait for the answer during 2011.